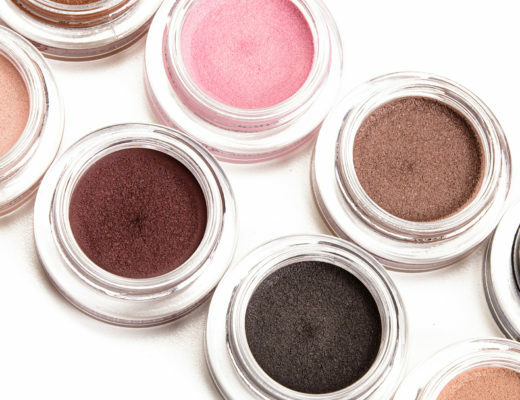 Whether you’re applying one or eight eyeshadows, blending is a huge part of eyeshadow application, so I know how critical it is to know how to apply and blend out your eyeshadow like a pro! I’m sharing some of my top, most helpful tips in this post, but you can also check out even more comprehensive post from our sister site featuring 38 eye makeup tips covering how to apply different types of eyeshadows and how to get the most out of your eye makeup! A few key takeaways: always look at your eye makeup from a “normal” distance, not just up close; practice, practice, practice; and pick tools that fit your eye shape and size. 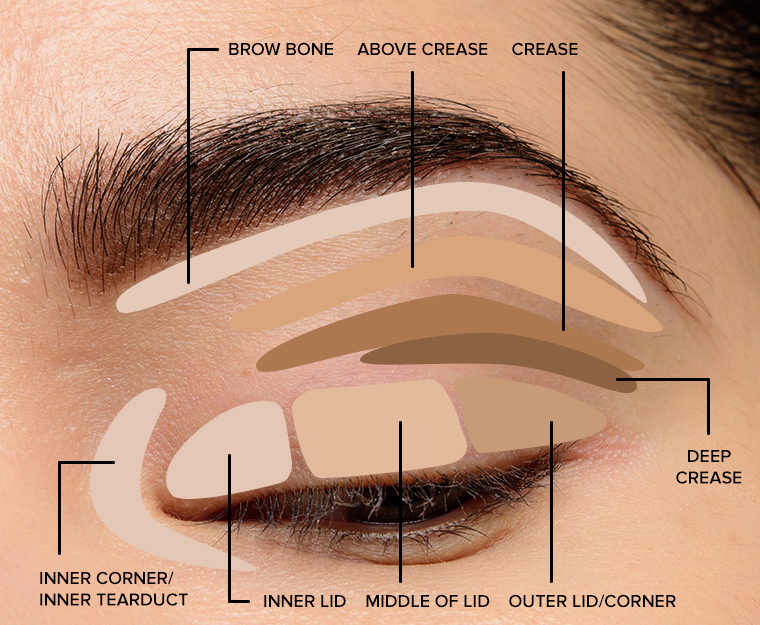 Here’s a helpful diagram that labels some of the common areas of the eye when it comes to applying makeup. Generally, people apply more shimmery eyeshadows on the inner corner to outer lid/corner area with more matte shades in the deep crease/crease area. Some use more shimmery shades on the brow bone (to highlight) or soften the crease area, but these could also be matte or satin in finish. A good starting point is going from light-to-dark on inner to outer lid and applying the darkest shade in the crease/deep crease and going lighter up to the brow bone. 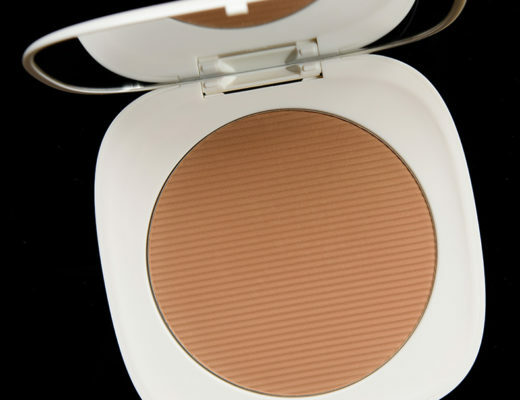 Apply your eyeshadow in sheerer layers and build up coverage as desired. It is always easier to blend out less product than to blend out a giant patch of intense black eyeshadow in the crease! For eyeshadows that aren’t going to be blended as much (like an all-over lid shade), the layering isn’t as important, but for applying shades into the crease or when working with darker shades, building up coverage ensures a more even application that requires less blending. This is because you can apply a sheerer layer over a larger area and then go back to build up coverage just where you need it, giving you a more gradual edge to start with. Gently pull your brush from one color to the next. I like to gently pull my brush and then gently pull it the opposite direction to blend two shades together, but I work precisely where the two meet. I like to gently blend a lighter, shimmery shade over a darker shade as this ensures the lighter shade doesn’t get overwhelmed by something richer. For matte eyeshadows, I like placing lighter shades first and then gradually increasing intensity or depth exactly where and when I need it. Use sweeping motions to distribute color evenly in the crease area. I like to take a tapered crease brush, like the Hakuhodo J142, and place it where I want the most color, and then I gently sweep the brush outward (toward the area I’d want the least intensity) and then back and forth a few times. Apply your eye makeup before your base. This is critical when working with more powdery or fallout-prone formulas, and if you’re a beginner at blending, it’s a good way to start so that you can easily clean-up along the edges, start over, or remove fallout without destroying all the base makeup you’ve applied. Tap off excess product prior to applying it to the eye area. Sometimes an eyeshadow is more powdery and other times you’ve just picked up too much product on your brush/applicator. By gently tapping the tool against your wrist or forearm, you can loosen excess product that might have just resulted in fallout during application. Blend to create a seamless gradient but not to the point of muddying everything together. 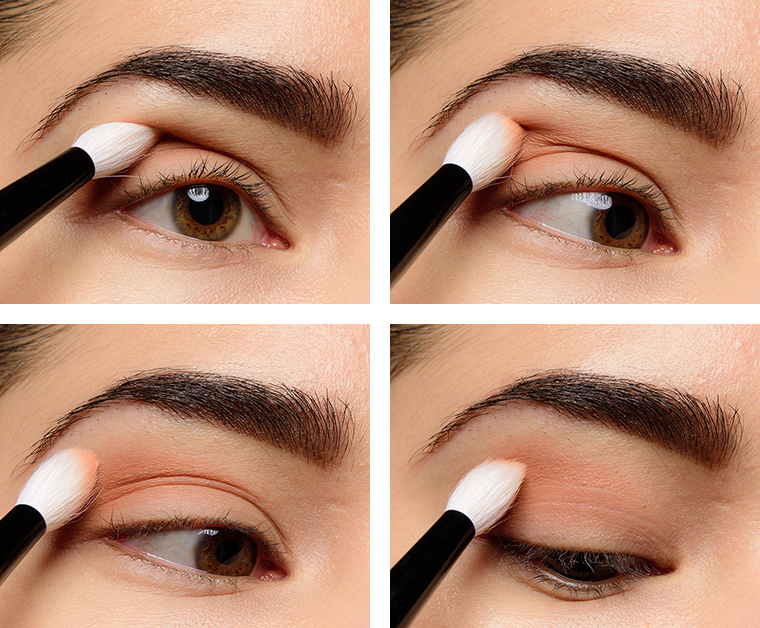 You’ll want to blend a little less than you think you need, then look at your eye makeup from a normal distance (e.g. not in a magnifying mirror or close-up, how someone would actually see you! ), and then go back and blend just in the areas that need it. It’s easier to blend a little more than it is to undo overblending. Blend with clean brushes. A cleaner brush, whether it’s been wiped gently on a microfiber towel or a Color Switch, reduces the chance of your colors getting muddy when blended. Softer brushes aren’t always better. You certainly don’t want a brush that feels rough or painful on the eye area, but softer brushes are less efficient at blending out products, particularly stiffer or thinner eyeshadow formulas. Having a brush that’s soft enough to be comfortable to use but not silky-soft often works better for blending out powder eyeshadows. A tapered, moderately dense crease brush does well for depositing and blending color into the crease area. You’ll find tapered crease brushes are popular, and it’s a traditional shape; the key is to find the right size for your eye shape and makeup application style. There are skinnier, narrower ones; feathery and denser ones; rounded and more tapered. The smaller the brush or the more densely-packed it is, the more precise and more pigment it may apply in a single area. The more feathery, less-packed the brush is, or the more rounded or fluffy the edge, the less precise and more diffusing the brush will be. Here are some recommendations: Hakuhodo J142, Wayne Brush 19, Wayne Goss Brush 17. 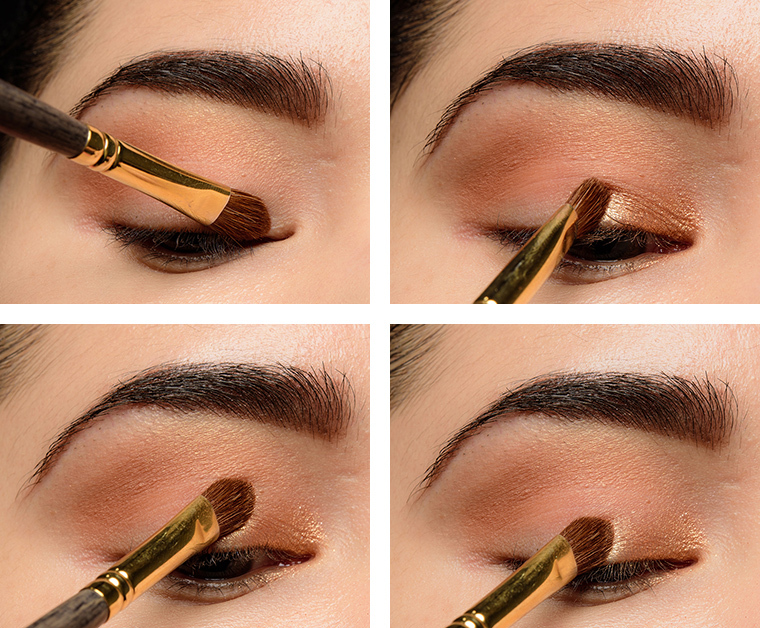 A fluffy, blending brush works well for–you guessed it–blending out eyeshadow. I like this type of brush for applying product to the brow bone as well as for blending out the edges of the crease/transition area. These are brushes like Hakuhod J5523, Zoeva 225, or Wayne Goss 18.